The UniFi Video Camera G3 Dome features a wide ?angle lens and 1080p video performance for expanded surveillance coverage. Mounting options include wall or ceiling installations. The infrared LEDs and an automatic IR cut filter provide day and night monitoring. Use the UniFi Video mobile app for easy camera management and live streaming from an iOS or Android-based smartphone or tablet.. Featuring a wide-angle lens for a superior field of view, the UniFi Video Camera G3 Dome provides 1080p HD resolution at 30 FPS.. Hybrid Cloud Technology combines the best of local and cloud management: secure, local storage and convenient remote access with streaming privacy – no licensing or maintenance fees.. 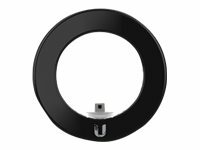 The versatile UniFi Video Camera Dome integrates into any ceiling or wall surface. It is designed for use indoors or outdoors under an overhang.